All too often, men stay quiet while facing physical and mental hardship. They may be concerned about worrying their friends and family, being a burden to others, or believe they just need to “man up” in the hopes that their struggles will go away. Considering that men die six years younger than women across the globe on average—with reasons for death being chiefly preventable—it’s time to talk. Testicular cancer, prostate cancer, and mental health disorders are challenges that men of all ages and places deal with every day, and they can be potentially fatal if untreated. Enter Movember, the annual event in November that encourages men to grow out their mustaches and get moving to help raise awareness of these men’s health issues. Movember started in 2003 by two Australian friends, Travis Garrone and Luke Slattery, who were talking over a couple of beers at a bar. The topic of mustaches came up—why were they no longer trendy, and could they be the ones who brought them back? They pondered, decided yes, and started to encourage others to join in. 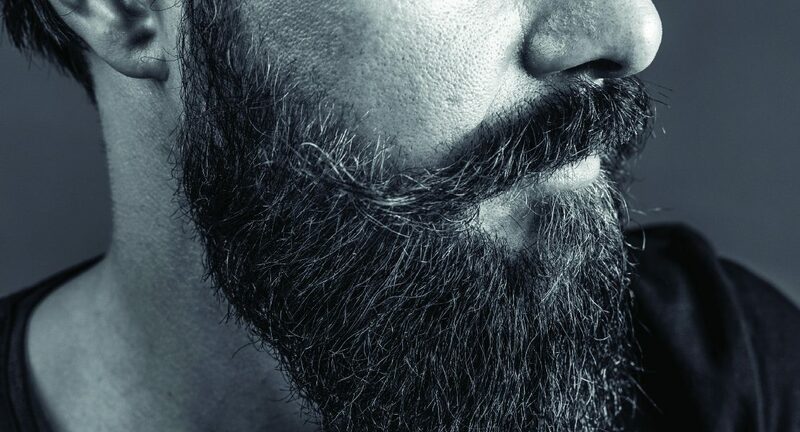 Meanwhile, a friend’s mother was raising money for breast cancer, which in turn inspired the men to dedicate their new ’stache campaign to men’s health. The Movember Foundation was born, and the rules were simple: donate ten dollars, grow out a ’stache, and the money would go towards men’s health and prostate cancer. The Movember Foundation officially covers four men’s health challenges: prostate cancer, testicular cancer, plus mental health issues and suicide prevention. It has spread from Australia into distant pockets of the world, including our own Lehigh Valley. So, why these particular issues? Let’s start with the shocking fact that globally, three out of four suicides are men, and almost half a million men take their lives every year. That’s one man every minute. In general, mental health isn’t something that’s talked about often, especially by men. Thankfully, not every mental health issue ends in suicide, and the Movember Foundation aims to give men the strength and resources they need to get better. This starts with encouraging boys and men to break their silence about their struggles, whether they are tackling a genetic mental health disorder, or facing a mentally challenging time in their life, like the loss of a job, a breakup, or becoming a father. One way the Movember Foundation is working to aid in mental health issues and prevent suicides by men and boys is by teaming up with the Prevention Institute by funding sixteen communities throughout the US through their “Making Connections” initiative. This initiative focuses on giving community-level attention to those in need, including those who are especially impacted by trauma, like active and retired armed forces members and veterans. The Movember Foundation hopes to reduce the global suicide rate 25 percent by 2030. Aside from mental health issues, there are cancers targeting men as well. More than 1.1 million men are diagnosed with prostate cancer every year—one diagnosis per eight men—making it the second most common cancer in men globally. James Walter, 75, discovered he had prostate cancer three years ago. When he noticed he had problems urinating, he went straight to the doctor, who suggested getting James tested. Typically, a prostate should be about the size of a walnut, but James’ was the size of a grapefruit. He needed it taken out as soon as possible. He is grateful that his cancer was discovered sooner rather than later, and hopes the same for other men. He emphasizes the importance of early detection, and that men be aware of what their bodies tell them. “People are afraid of going to the doctor,” says James. “They don’t want to hear bad news, or are in denial.” Now, James gets his PSA (prostate specific antigen) levels tested every six months to be sure that he is remaining stable. The Movember Foundation officially covers four men’s health challenges: prostate cancer, testicular cancer, plus mental health issues and suicide prevention. Testicular cancer is extremely under-funded and less talked about than prostate cancer, yet is the most common cancer found in men ages 15 to 35, and the rates have doubled in the last 50 years. Luckily, it is one of the most treatable cancers, and if detected early the survival rate is close to 100 percent. The Movember Foundation is working to help raise funding for testicular cancer and inform on the importance of early detection. There are many ways to get involved yourself, the easiest being to simply grow out that mustache in November and start a conversation with your friends and family. But don’t stop there—along the way you can get moving, too. Set up a physical challenge for yourself like running that 10K, polishing up your swimming skills, or giving yoga a try. Let people know why you’re doing it and encourage them to join as well (it’s more fun with friends!). Just because women aren’t the best mustache growers doesn’t mean they can’t help get the word out. Tell your brother, father, uncle, and friend about the cause. You can even don a fake ’stache if you want. Host an awareness event and raise money to donate to the Movember Foundation, or check out their website to find an event near you (there’s a few! ).